There’s always a bit of good news and bad news in the poker world to be had. 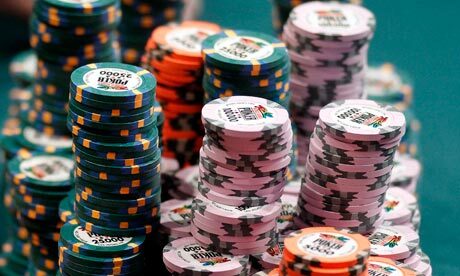 We already covered the fact that PokerStars and Casino Gran Madrid are teaming up in a deeper way through a new poker room. PokerStars is on the move with other casinos as well — Hippodrome and Circus Groupe (London and Belgium, perspective). We can’t forget the Grand Waldo in Macau. However, there’s a bit of bad news in the poker world as well. RPM Poker has shut down, as it has been sold to a 3rd party not disclosed at this time. Players aren’t completely in the cold — they can transfer the balances to Carbon Poker, Sportsbook.com and Players Only. Rakeback can also be moved over. VIP tickets and tournament tickets have not been moved over yet, which is definitely a problem. Still, it is very likely that it will be resolved in good time. There’s some good news though, in other poker news — Phil Ivey announced his free to play social poker offering. It’s called IveyPoker and it will be available at the start of 2013. Fans can download the app on Facebook, iOS, and Android. It’s all about entertaining and teaching the world winning poker. It gives people the chance to play for fun while they learn new skills through video content. New and experienced players will be interested in the app. Some might wonder why Phil Ivey would even bother with a free platform. There’s enough advertising potential to make it interesting, and it’s a way to keep his name out there. Nobody stays on top of the poker world forever, and being good now means that you have to do things in order to keep attention for later. You have to definitely check out Phil Ivey when it drops. The guy knows his poker, and if he’s willing to teach (as most pros often are, for the right price), it’s important to pay attention.